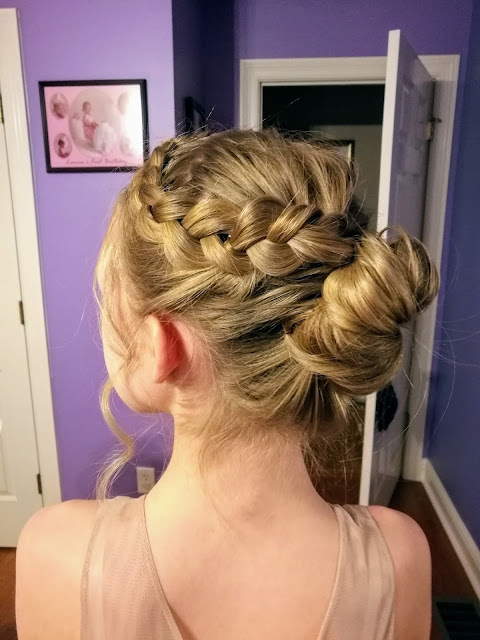 I got the privilege to do some dance hairstyles! 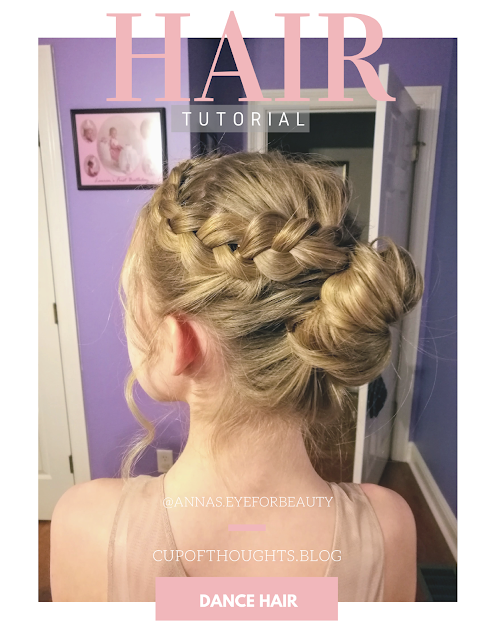 For the first style, we chose to do an updo with a side braid sweeping back towards the bun. 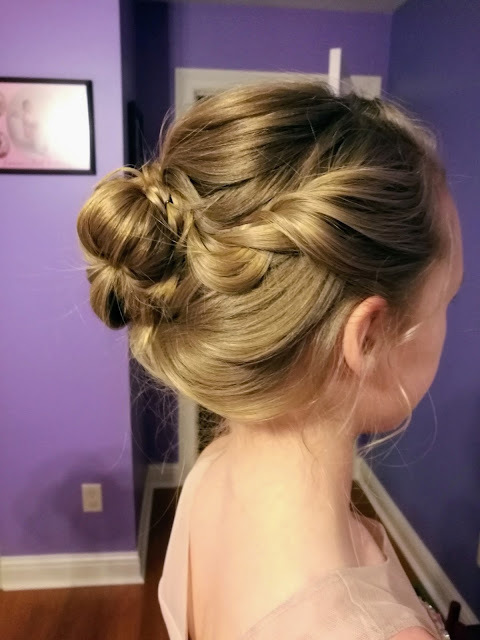 To keep it balanced, I added a small twisted braid on the opposite side. 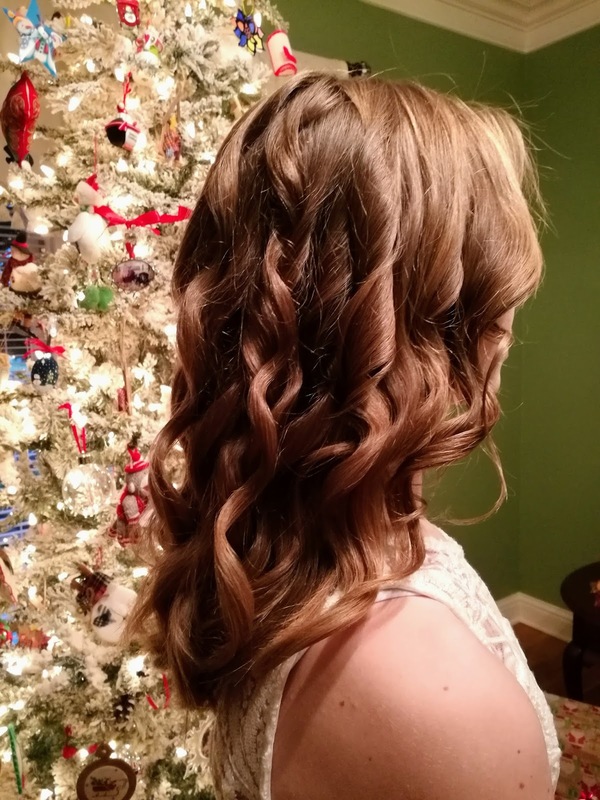 The last style was simply curly.